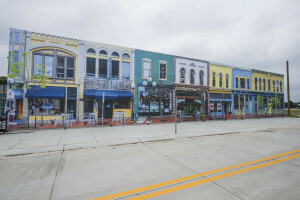 The University of Michigan’s Mobility Transformation Center on Monday officially opened Mcity, a 32-acre faux municipality which will allow researchers to test self-driving and “connected” cars. Mcity also has fake buildings, construction obstructions, traffic lights, and construction obstacles, according to the university. Besides the simulated road conditions, the center — which has a max speed of 40 mph — will allow for better understanding of how a car needs to react to an unpredictable human driver or pedestrian, according to the Detroit Free Press. Sweatman told the newspaper he’s talked to Google too. Besides purely autonomous cars, the facility will test V2V and V2I vehicles, the technical terms for cars “talking” to other cars or the city’s infrastructure. A recent Automotive Megatrends webinar indicated that technology communicating with other technology would ease the challenge of producing safe self-driving vehicles. But even if self-driving cars remain a fantasy forever, connected cars would be beneficial by alerting each other to obstacles like potholes or road congestion. Builders started work on the city in 2014, and so far, it’s cost about $10 million. The college and Michigan Department of Transportation put up much of the money, but 15 “Leadership Circle” members have also pledged $1 million to the university, and 33 “Affiliate Members” have donated $150,000 each. 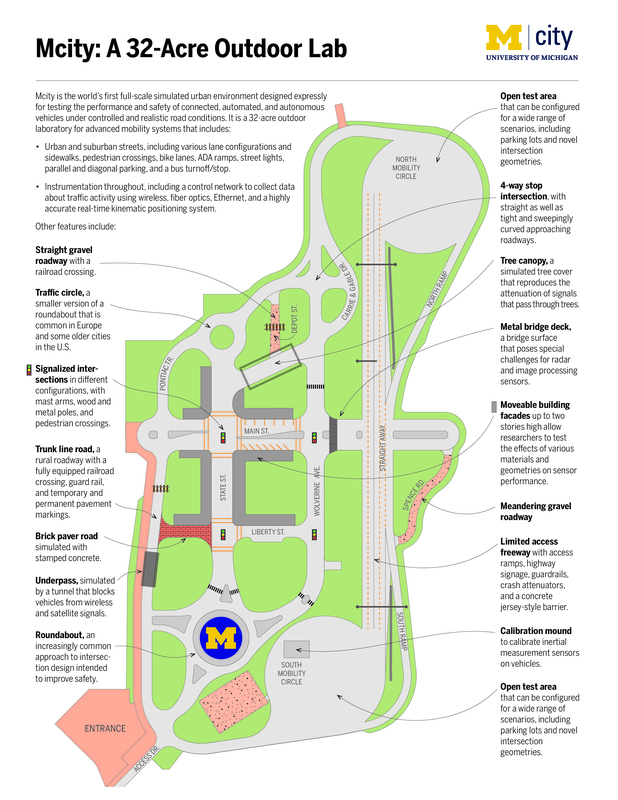 The university said anyone can use MCity, but transportation center partners and Wolverine faculty and students will have first dibs. The Leadership Circle also receives access to all the research done there, the Detroit Free Press reported. The center also plans to add another 6,000 connected vehicles to the 3,000 already driving around the Ann Arbor, Mich., metropolitan area under a University of Michigan Transportation Insitute research project. It ultimately plans to have 20,000 connected vehicles in Southeast Michigan with the help of the private sector and MDOT. Another project would allow for a 2,000-vehicle connected or automated taxi service in Ann Arbor.